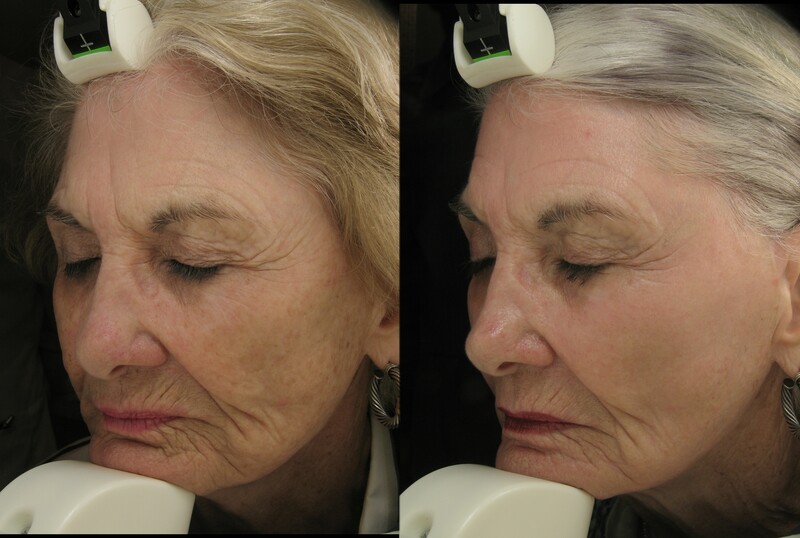 Improved Fraxel re:store for wrinkles, scars, strechmarks, pigment - faster, less treatments, less discomfort. Don't be misled. There is not another Dual Laser between Pensacola and Panama City. Why get the old version of the re:store when you can have the latest at the same price. "I think that Solta Medical (Fraxel) is underestimating the potential for the 1927 laser. I have seen tremendous improvements in my patients in areas other than pigmentation. The beauty of the minimal downtime and minimal discomfort makes this laser very well received with clients, particularly with its effectiveness. This might be the most effective laser vs downtime on the market. I’m very excited about its possibilities." What is different between the new Fraxel re:store Dual and the older Fraxel re:store? More Comfort - The new handpiece has an integrated Zimmer Cooling Device (cold air) which allows for the skin to be chilled directly where the treatment is occurring. Groundbreaking pigment eradication - The 1927 allows for a very superficial resurfacing which can eliminate pigmentation from melasma, hyperpigmentation, sun damage, actinic keratosis safely in all skin types, on all parts of the body. Extremely comfortable - very little, if any topical anesthesia is needed for using just the 1927nm laser. This allows for large surface areas to be treated in a single session. Superficial resurfacing similar to a superficial CO2 laser resurfacing - without the downtime or wound care. It is partially ablative, partial nonablative. When used simultaneously with the 1550nm laser, you get more effective resurfacing - a superficial and deep resurfacing - leading to less treatments for the same results. Please explain further the Fraxel Dual 1550nm nonablative fractional resurfacing? Fractional laser resurfacing is treating a fraction of the skin with the laser and leaving the majority of the skin uneffected. Typically about 20-35% of the skin is treated with microthermal zones (MTZ's). These MTZ's are columns of tissue heated by the laser that are much less than the diameter of a hair. By only treating a portion of the skin, the downtime and risks are minimized but the treatment depths can actually be higher - leading to more effective treatments. The 1550nm laser is an Erbium laser which is a rather "cold" laser. It causes very little "peripheral" damage when creating MTZ's, and just heats the tissue. This is nonablative resurfacing. 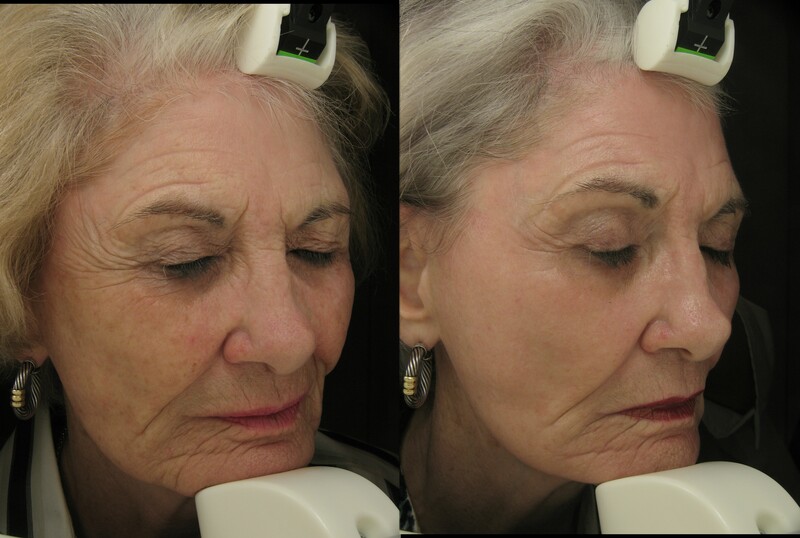 In contrast, the CO2 laser vaporizes tissue (removes tissue) which is ablative resurfacing. Typically, nonablative resurfacing will require multiple treatments, and will have minimal or no downtime. What can this laser do? FDA indications include treatment of pigmented lesions, acne scars, melasma, mild to moderate periorbital rhytids (wrinkles), surgical scars and actinic keratosis. Physicians have been using the 1550 nm restore for stretch marks, burns, improvement in pore size with great results. The addition of both wavelengths in a single treatment makes the improvements faster and increases its effectiveness. For pigmentation, should I do IPL or Fraxel Dual? An IPL is limited by the natural pigmentation in the skin. If there is a large difference between the area of pigmentation which one wants to remove and the natural skin color, IPL is effective. However, if the pigmentation is light, or very close to the skin color, an IPL has trouble safely removing the pigment. The Fraxel Dual does not care what skin color you are or what color the pigment is. It works by going down to the layer of skin where the abnormal pigment is, and renews/resurfaces it. An IPL can take up to 4 treatments to remove pigment and the Dual should take 1 or 2. You will have pinkness and mild swelling for about 3 days. There is no wound care, and no dressing changes. Your skin will feel dry and we recommend a moisturizer such as Cetaphil or Aquaphor. After a few days your skin will bronze and feel rough. It is about to peel at this time, and the peeling will take about 3 days to complete. Your skin will then look very refreshed and pink and will return to its natural color in about 5-7 days.